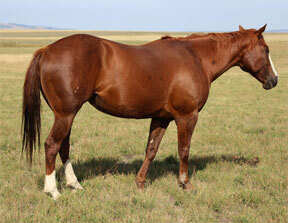 Sired by LEO NICK BAR who won the prestigious FT. Smith Futurity in '04 with Chris Coffey aboard. The only STALLION to ever do so…a testament to his level of trainability & disposition. ... and many many others, too numerous to list. Dam to this mare is Dash Ta Please ~ by Dash Ta Fame. 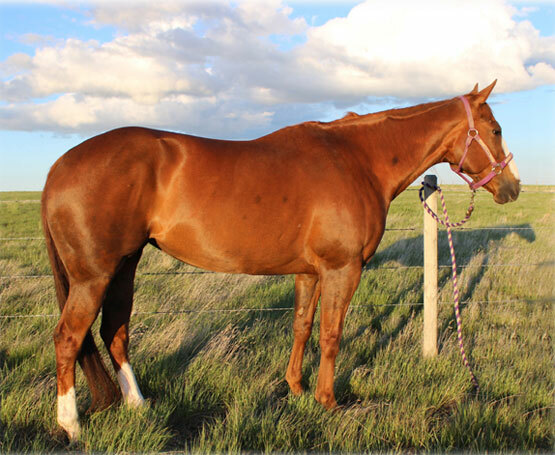 Dash Ta Please is a full sister to Famous JR (now deceased, he was a Stallion owned and stood by John Read Foster/Mike Green) these horses were out of the AAA mare: Some More Please - who was sired by Easily Smashed (one of the decade’s top broodmare sires of barrel horses) and out of an Azure Te daughter! "Doodle Bug" herself was a 1D barrel horse herself & had ran 17’s on a standard set as a futurity horse.